Stemming from unused lyrics left behind by the legendary singer after his death in 1953 and spearheaded by Bob Dylan, the album has a wide spectrum of current artists putting the music to Williams' lyrics with fantastic results. Third Man Records, along with Egyptian Records, Bob Dylan's label imprint, in partnership with the Country Music Hall of Fame® and Museum's CMF Records and Columbia Records, will release The Lost Notebooks of Hank Williams. 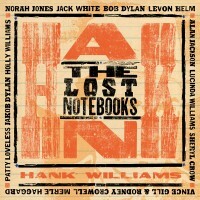 The second title ever to be released on Egyptian (the first was 1997's The Songs of Jimmie Rodgers - A Tribute Album), The Lost Notebooks of Hank Williams is a long-awaited collection of previously unrecorded Hank Williams lyrics newly set to music and performed for the first time as completed songs by a roster of artists with a musical and spiritual kinship to the archetypal American country music singer-songwriter. The release of The Lost Notebooks of Hank Williams provides an audio companion to the Country Music Hall of Fame and Museum's Family Tradition: The Williams Family Legacy, a 5,000-square-foot exhibition presenting an intimate, behind-the-scenes portrait of a great American musical dynasty. Family Tradition, which opened in March 2008, is the largest and most popular temporary exhibition in the institution's history. The exhibit, which includes Hank Williams' notebooks and other memorabilia, will close on December 31, 2011. Created from writings left behind by country music's ''lovesick blues boy,'' The Lost Notebooks of Hank Williams premieres the first-ever performances of 12 previously unheard Hank Williams lyric compositions newly set to music by 13 artists whose own sensibilities have been profoundly shaped by Williams. The Lost Notebooks of Hank Williams project began with the idea of finding a well-known artist, one who felt Hank's inspiration and influence, to record an album's worth of the unheard songs. After veteran music industry manager/A&R executive Mary Martin approached Bob Dylan, a natural first choice for the endeavor, the project evolved into a multi-artist tribute providing a variety of sympathetic approaches to this rich mysterious material. In death, a singer's legacy can easily become the subject of a custody battle. With a talent as nuanced and contrary as Winehouse's, there are many readings of the singer ripe for perpetuation. NEW YORK, Dec. 4, 2011 /PRNewswire/ -- MADONNA, a multi Grammy Award-winning Universal Records recording artist, will perform in the BRIDGESTONE SUPER BOWL XLVI HALFTIME SHOW on NBC at Lucas Oil Stadium in Indianapolis on Sunday, February 5, the NFL and NBC announced during tonight's Sunday Night Football game between the New Orleans Saints and Detroit Lions. Madonna's performance will be imagined by CIRQUE DU SOLEIL and JAMIE KING. A world class entertainer, singer, songwriter, producer, director and video visionary, Madonna has sold more than 300 million records in the course of her three decade career as The Material Girl. She is a Rock & Roll Hall of Fame inductee. Her last tour was the most successful tour by a solo artist in history. Madonna is currently in the recording studio working on a new album scheduled to be released next year. Her new film W.E. which she directed, wrote and produced is opening in a limited one week release December 9 in Los Angeles and will open nationally on February 3, two days prior to Super Bowl XLVI. 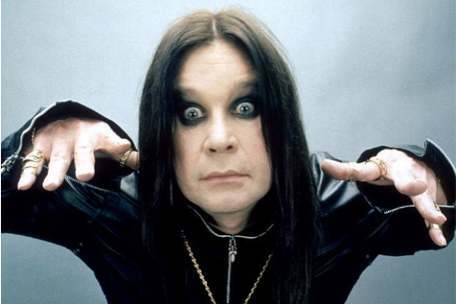 A new phone app has been created to help people understand the infamous Brummie accent (a colloquial term for the inhabitants, accent and dialect of Birmingham, England), which legendary heavy metal singer Ozzy Osbourne is notorious for having. The iBrummie app translates sayings from the famous second city twang into the Queen's English and says them out loud. in the mood for some really bad album cover art? The 20 most disgusting, stupefying, or just-plain-dumb covers of the year. In 1956, Alan Freed's film Rock Rock Rock was released. Appearing in the film with lead Tuesday Weld (whose singing was dubbed by Connie Francis) were Chuck Berry, the Moonglows, the Flamingos, the Johnny Burnette Trio, Lavern Baker and Frankie Lymon and the Teenagers. In 1964, Lorne Green becomes the second Canadian solo artist (after Paul Anka) to have a number one hit on the Billboard singles chart when his spoken word recording about a Western gun fighter named Ringo reached the top. It made it to #22 in the UK. The star of NBC-TV's hit show Bonanza would record seven albums for RCA. In 1964, RCA announces that "Elvis' Christmas Album" has sold over 800,000 copies since being released in 1957. In 1964, the Zombies' debut single "She's Not There" tops the Cashbox Best Sellers chart. It reached #2 on the Billboard Hot 100 and #12 in the UK. 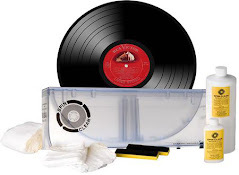 In 1968, an actual banquet held to launch the Rolling Stones' newest album, 'Beggar's Banquet' comes to an abrupt end when a pie throwing fight breaks out. Also in 1968, Graham Nash quit the Hollies. He announced the formation of Crosby, Stills and Nash three days later. In 1969, Peter Grant, manager of Led Zeppelin, stops Atlantic Records from releasing Whole Lotta Love as a single in the U.K. because they want to cut out the center section of the song. In 1975, Fleetwood Mac's tenth album goes Gold and will eventually reach Platinum status. 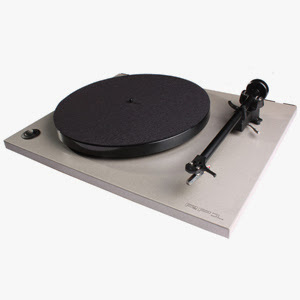 This is the first LP by the regrouped band, including founders Mick Fleetwood and John McVie, veteran Christine McVie and newcomers Stevie Nicks and Lindsey Buckingham. The album contains the tunes "Rhiannon", "Say You Love Me" and "Over My Head". 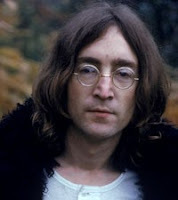 In 1980, just three days before John Lennon was murdered, he called his Aunt Mimi to say he was homesick and was planning a trip back to England. Also in 1980, John Lennon gave his final interview to Jonathan Cott of Rolling Stone. In 1992, Whitney Houston started a 10-week run at #1 on the UK singles chart with “I Will Always Love You.” The longest-ever run at #1 for a female artist the Dolly Parton-penned song was taken from the Bodyguard soundtrack. In 1993, co-founder of the Gin Blossoms Doug Hopkins died of self-inflicted gunshot wounds at age 32. The guitarist and songwriter was in a detox unit of Phoenix’s St. Luke’s Hospital when he snuck out and bought a .38 caliber pistol. The next day Hopkins committed suicide. In 2004, Billy Maybray, bassist / drummer / vocalist for The Jaggerz, died of cancer at the age of 60. Billy played drums on the band's 1970, Billboard #2 hit, "The Rapper" and wrote and sang their debut single, "Baby I Love You". In 2006, Beatles lyrics handwritten by Sir Paul McCartney to an early version of “Maxwell’s Silver Hammer” sold for $192,000 at an auction in New York. A guitar owned by Jimi Hendrix fetched $168,000, a notebook containing lyrics written by Bob Marley sold for $72,000 and a poem penned by Doors frontman Jim Morrison made $49,000 at the Christie's sale.